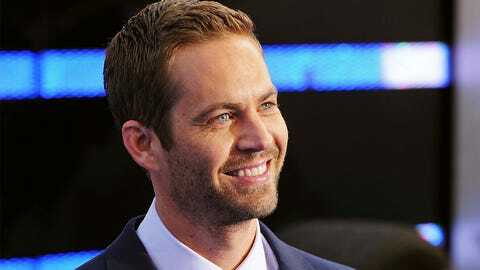 BJJ brown belt and actor Paul Walker passed away after a car accident Saturday. Ronn Shiraki got a call one day about seven years ago at his Brazilian jiu-jitsu gym in Hawaii. A man on the other line said his name was Paul and he was interested in private lessons. ”I shoveled him off to somebody else,” Shiraki told Fox Sports. Post by Ricardo Franjinha Miller. Shiraki, who runs Relson Gracie Jiu-Jitsu-Ronn Shiraki Academy in Honolulu, found out a few weeks later that ”Paul” was movie star Paul Walker – and he was pretty darn good at BJJ. Walker, a brown belt under Ricardo ‘Franjinha’ Miller in California, moved to Hawaii soon after and the two became close friends. Shiraki and his entire academy were devastated by Walker’s death Saturday in a horrific car wreck. ”The reason why it’s so hard to lose Paul is that despite his fame, he was genuinely one of the best guys I knew,” Shiraki said. ”Seriously. That’s why it was so hard to lose him." A little more than a year ago, Shiraki remembers getting a call from the ‘Fast and the Furious’ star. Walker, known for his good deeds and charity work, was in London filming a movie, but for some reason he felt the need to call his friend and instructor. Coincidentally, Shiraki was going through a hard time and Walker offered to help in any way he could. Shiraki remembers Walker, 40, going to Haiti in 2010 to help the victims of an earthquake. That spurred the actor to create the charity, Reach Out Worldwide (ROWW), an organization that gives hands-on help to those affected by disasters across the planet. Walker was coming back from a ROWW event for Typhoon Haiyan when the accident happened. UFC star Jake Shields knew Walker through Shields’ trainer Tareq Azim. He remembers Walker’s desire to change the world very well. He was one of the most down-to-earth guys I ever met. Walker was a huge UFC fan who was inspired to start training in Brazilian jiu-jitsu because of Royce Gracie’s exploits in the early days of the organization. He wasn’t bad at it, either. Shiraki was always impressed by Walker”s sill despite his crazy travel schedule.